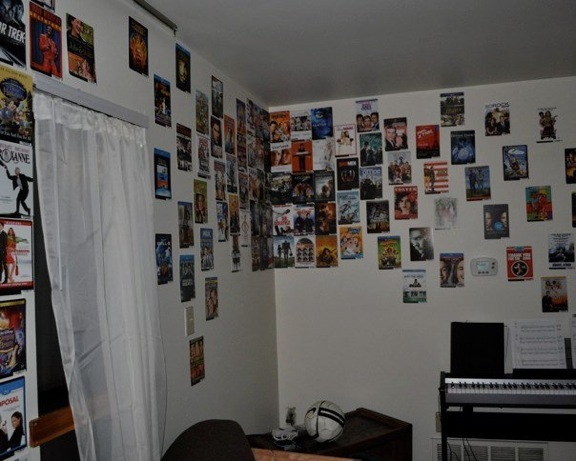 So you want to know what your res hall/dorm room/living spaces are going to be like? 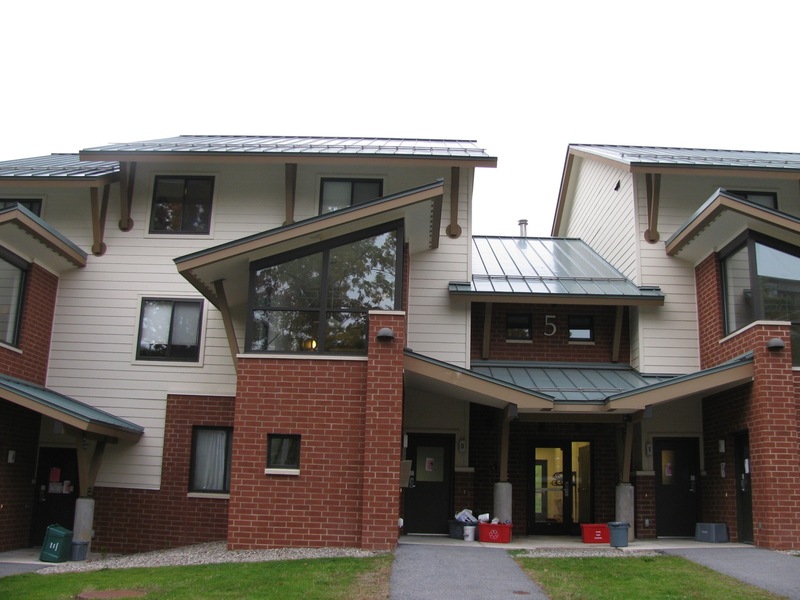 My journey through Skidmore res hall living is similar to the trajectory of most other students here, so to give you an idea of what it’s like, here’s a year-by-year tour in words and pictures of the different places in which I’ve lived at Skidmore. FRESHMAN YEAR: A triple in Howe-Rounds. Triple rooms might be the bane of many a first-year’s existence, but I look at my triple experience as a county fair of sorts: sometimes it was easy and fun (like a carousel), sometimes it was a little uncomfortable (like riding the Tilt-a-Whirl after eating a corn dog) and sometimes it was absurd (like watching the pig race) but it was always entertaining and we all came out alive. Awww, baby Molly! So eager to start college! 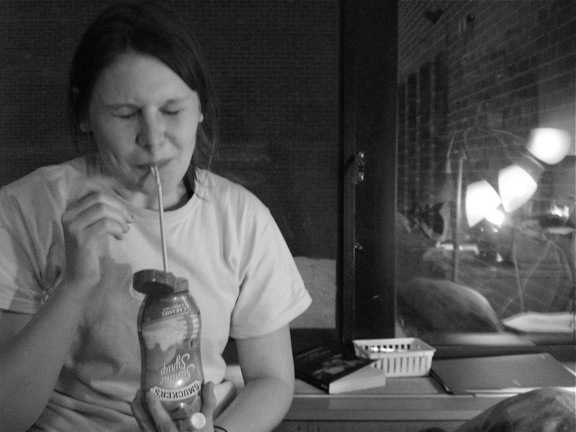 That's my freshman roommate Rae, drinking caramel sauce with a straw. To use another extended metaphor, decorating when sharing a room with two other people is like making a smoothie. You’re mixing all of your individual flavors together. Sometimes your design senses are in harmony — like a mango peach pineapple smoothie, yum. Sometimes your aesthetics aren’t so compatible and that’s when you get the dorm room equivalent of putting bananas, spinach and pomegranate in the blender together. 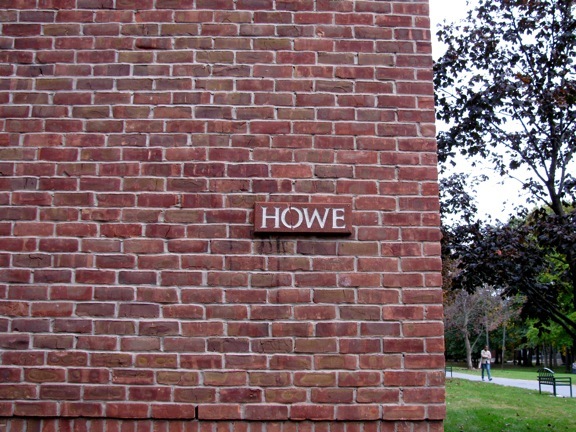 My room, Howe 134, often clashed. It was okay. Part of the experience and chaos of freshman year. 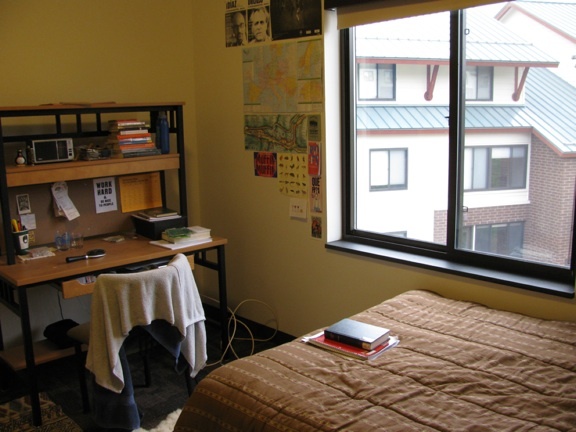 Oh, and it should be said: all dorm rooms come with a bed, desk, and closet/wardrobe space for each resident. The Tibetan peace flags, octopus lamps, wall pops and posters of Bob Marley/Audrey Hepburn are all up to you. SOPHOMORE YEAR: A single in Jonsson Tower. 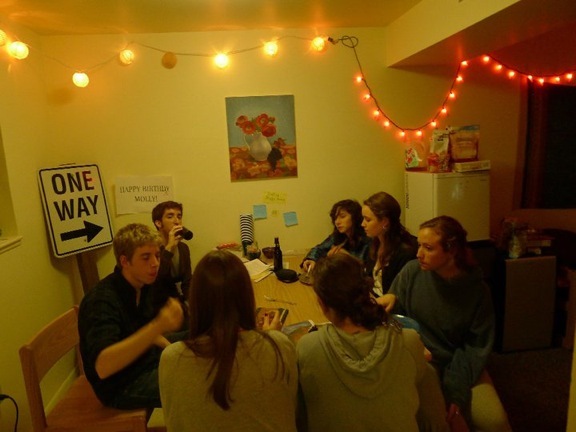 I was an RA in a single room — living the sophomore dream. My room had a killer view (I was on the tenth floor) and I was living by myself at school for the first time, which means many a night was spent making hot chocolate and enjoying the relative silence. Badly lit, but check out that window seat. The downside of not having a roommate is missing that special roommate camaraderie, but it was easily remedied by turning my single into a haven of tranquility, a little Zen room in the sky, a place to recover from the stress of the sophomore slump. The sunsets from the tenth floor certainly did the trick. JUNIOR YEAR: Scribner Village, woo wooo! 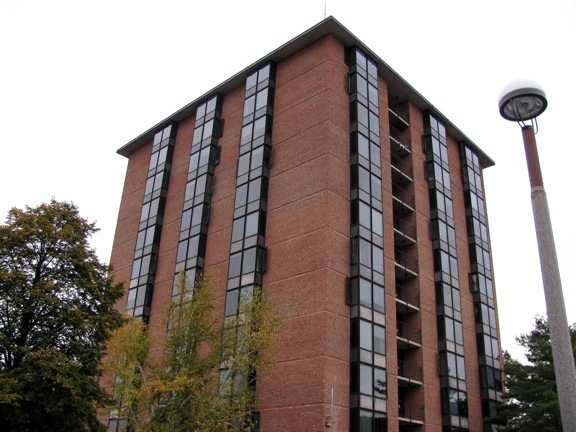 Scribner is one of the apartment complexes Skidmore has for upperclassmen, and it’s an upgrade and a downgrade at the same time. 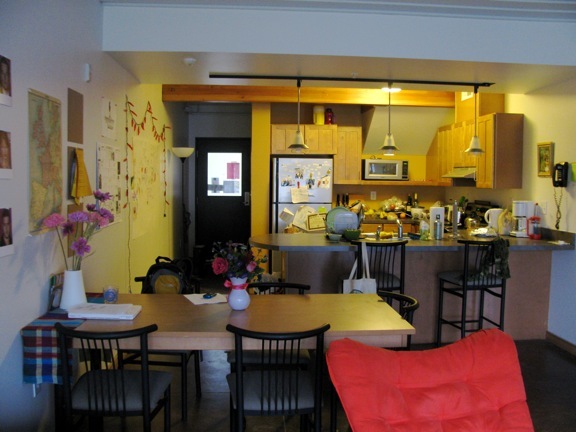 Upgrade: living in a Scribner apartment means getting your own kitchen and living room, living in a community with fellow upperclassmen and picking the people you want to live with. Downgrade: Scribner was built 30 years ago as temporary housing and as such has a very “temporary” quality, to put it kindly. 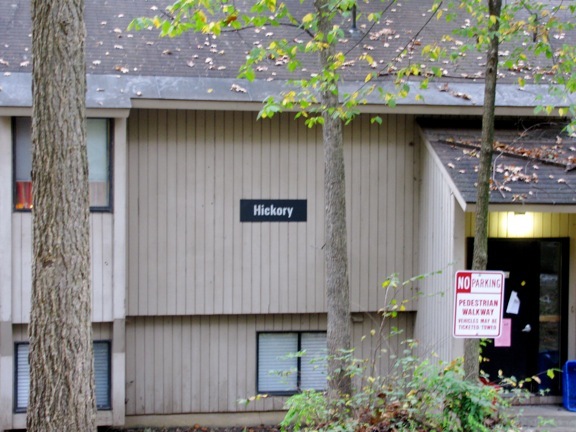 My apartment, Hickory A, was like a bunk at a summer camp. Part of a birthday celebration. We were all happier than we looked. Scribner is down in the middle of a wooded area, so acorns rained down upon our roof and squirrels terrorized the Dumpsters. Things flooded, things broke. 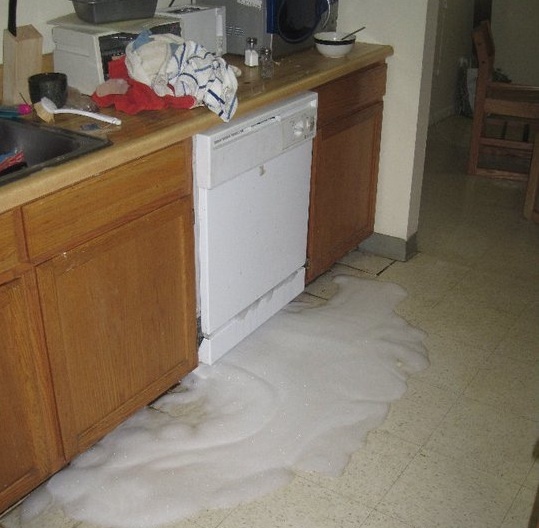 Some of it was our fault, like the time my housemate put dish soap in the dishwasher and white fluffy foam gushed out onto the kitchen floor. Scribner was an exercise in survival. We decorated it the best we could, had potlucks and movie marathons, and made it our own. Soooo many DVD covers. 'S what happens when Blockbuster goes out of business. Hickory A and the rest of Scribner are like Charlie Brown, or the Mets: lovable losers. By the time you prospective students get here in the next couple of years, Scribner will be bulldozed and replaced with shiny new apartments, but it will always be remembered fondly by those who lived in those dingy boxes. SENIOR YEAR: Northwoods — the ultimate. Northwoods is the other apartment complex. 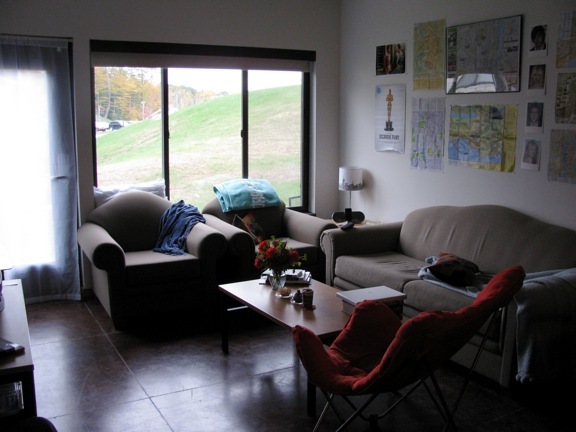 Living in the Northwoods apartments is like Swiss ski chalets without the pain of actually having to go skiing. Note the recycling bins and compost buckets. Also that door under the big 5 leads to the laundry room. Huzzah! Here is our kitchen/dining room. Note the squishy butterfly chair, chili pepper lights and surfeit of coffee-making appliances. The living room. Note the Skidmore blanket (school spirit, cozy-style), neutral-colored couches and chairs that avoid offending anyone’s sensibilities, and rolling hill/grassy knoll in the background. My bedroom. Note the book and notebook sitting on my bed, representing several hours of library work. So that’s where I live now. This little tour has made me nostalgic…hope you’ve enjoyed it! 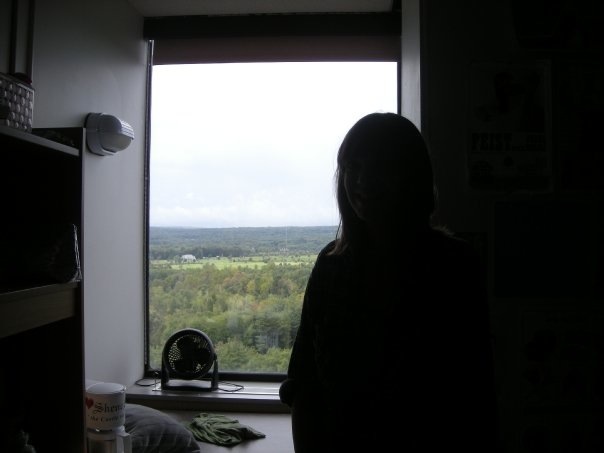 This entry was posted in A Day in the Life, Personal on October 14, 2011 by Molly O'Brien.